AbraxSys Fanless Embedded Panel PC's combine industry leading connectability with cutting edge functionality. Highly reliable, rich with features and the ultimate in fanless industrial technology. 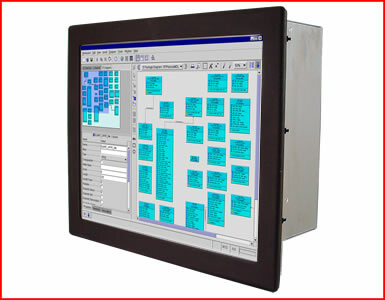 Designed as high reliability, extreme environment control solutions, this rugged industrial grade fan less touchscreen pc series is ideally suited for demanding industrial environments and are ideally suited for harsh environments where dust, dirt, moisture, splashing water, hose directed spray, and various other caustic contaminants like oil, chemicals, etc. are commonplace. Applications include automation, manufacturing, medical, semiconductor, food processing, machine control and beyond. The AbraxSys Fanless PC product line is the latest in low voltage fanless panel computing. Thes Fan Less PC are designed from the ground up to meet the challenges of the Industrial world, these panel computers feature eith the 1.5GHz ULV VIA C7 processor or Intel's Core 2 Duo Mobile CPU, and as well excellent COM port connectability and dual gigabit ethernet. These Fanless Panel PC are available with a 5-wire resistive touchscreen, this option increases operator accuracy and efficiency. AbraxSys' Fanless Touch Computer 's are constructed with the harshest environments in mind. 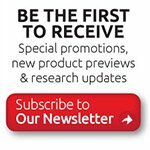 They typically deliver drift-free operation for a lifetime of 35 million finger touches with a long-life 490,000 hours MTBF. 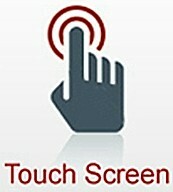 The AbraxSys Fanless Touch Panel PC product line is designed to be panel mounted. The unit comes with 13 mounting screw locations yielding NEMA (IP) sealability when properly installed. Using an industry standard cutout. The AbraxSys Fanless Touchscreen PC product line features 6x USB 2.0 ports, 5x RS-232 COM ports, 1x RS-232/422/485 COM port, 1x PCI Expansion slot, 2 x KB/MS PS/2 ports and standard audio in-out + mic port. 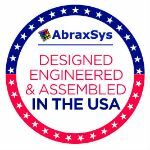 AbraxSys stands behind every product we make. This series is covered by the AbraxSys 2 Year Comprehensive Warranty. Contact our team to learn more.